It is essential that every employer sponsors a member of staff on safety-related courses since it can reduce insurance premium, protect you against legal cost, reduce absence and increase productivity. It will equally enhance local reputation. Bear in mind that proper safety procedures can equally save you from criminal prosecution. Continue reading to learn about some of the reasons to go for a safety training course. The insurance premium will reduce a lot if your organization has trained health and Safety managers. The premium will remain low since you have taken action to prevent illness and injury in your workplace since no claim is made. Inadequate health and safety procedures put in place in an organization can reduce health problems and also enhance the reputation of the organization. Proper health procedures will ensure your employees do not fall sick, which will create a vacuum in the workplace and reduce efficiency, aside from reducing the reputation of the organization. Exposing the employees to an unsafe environment can make them call in sick; the sick staff member can tell friends and family about his or sickness and that he got it from Company X. This will further worsen the reputation of the company in the eyes of the general public. Bad news travels fast, and it is a question of time before people stop working for you or buying your products. Caring for your employees by providing adequate environmental and occupational safety can make the employee happy and prompt him to tell the world about the quality of service you offer, which will further improve the reputation of your company. The stress of work can tell on productivity in your organization. Sending a member of staff on safety training course can ensure proper attention to their health so that the employees can always be in good shape and high spirit to work consistently; this will undoubtedly increase productivity since other members of staff will be encouraged to put in their best. An employee well cared for will see no reason to take an unofficial break for pain management and this will help to improve the productivity of the said organization. 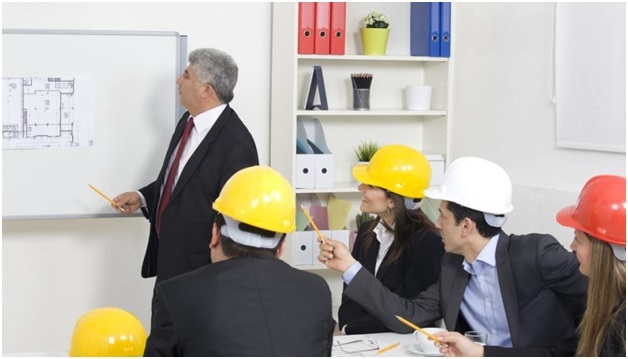 The staff you have sent on safety training course can carry out a thorough health and safety audit of the organization to prevent any accident or illness. He will also lead the company in setting up mini-clinics where the health of the members of staff can be well attended to. The benefits of a safety training course are many for your organization and the members of staff. Never again will your members of staff have any reason to go AWOL, aside from protecting your organization against damage.